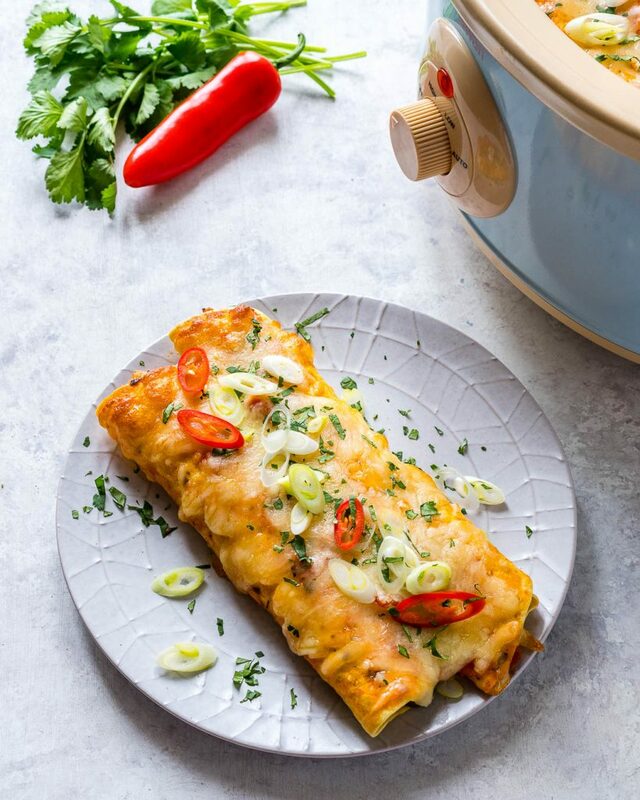 These Clean Eating Slow Cooker Enchiladas are Everything! Topping Ideas: green onion, chili slices, fresh chopped parsley, greek yogurt, diced avocado. Preheat oven to 350 degrees f. Place the chicken breast in a baking dish. Season generously with sea salt and pepper then bake for about 45 minutes, or until no longer pink in the center. Allow to cool. Remove bones and discard. Shred chicken with forks. In a medium bowl mix shredded cooked chicken, garlic powder, cumin, chili powder, black pepper, and sea salt to taste. Add in green chile peppers, 1/2 cup of enchilada sauce and 1/2 cup cheese. Place about 1/2 cup of chicken mixture in the center of each sprouted tortilla, then fold up. Continue until all tortillas are filled. 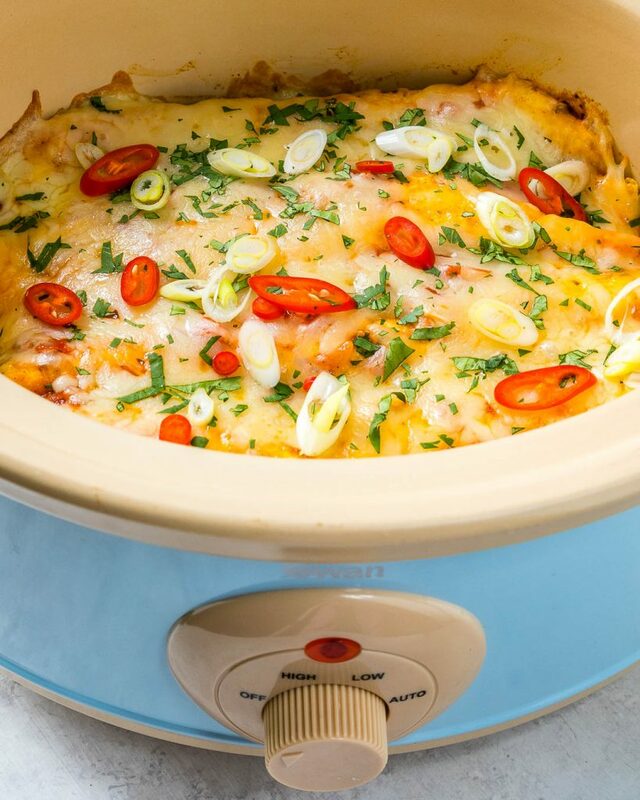 Lightly spray/grease the bottom and the sides of the slow cooker with olive oil spray. 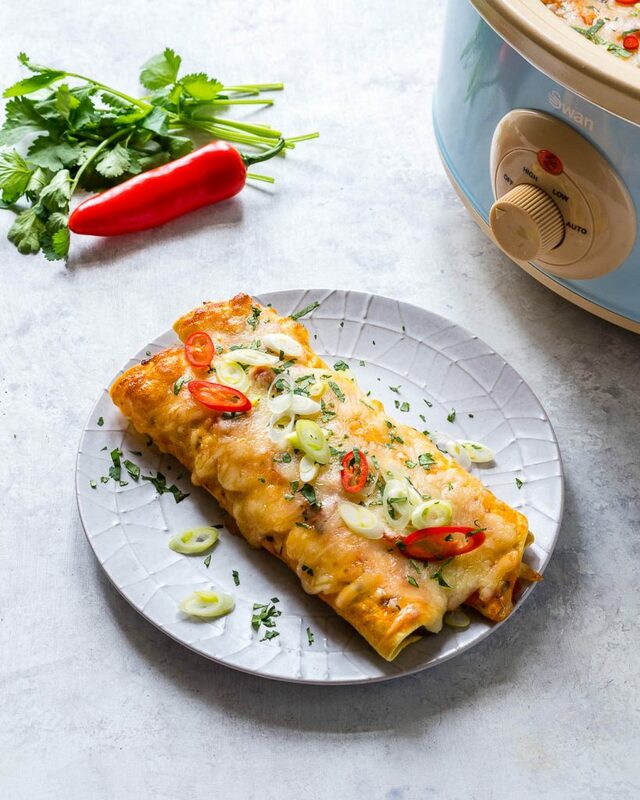 Lay filled enchiladas carefully, seam side down in the slow cooker, add a bit of sauce on top of each layer as you stack them. 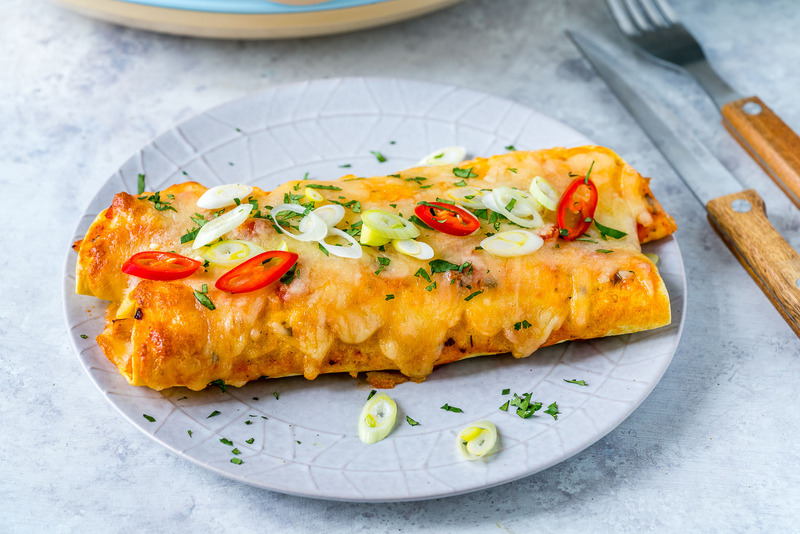 Pour over the remaining enchilada sauce and sprinkle with remaining shredded cheese. Cover and cook on LOW for 3 to 4 hours, or until hot and bubbly. Garnish with topping of choice and enjoy.